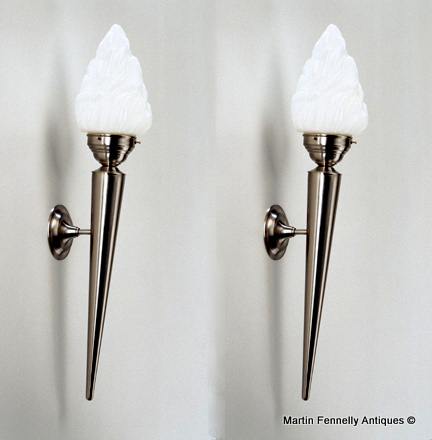 These are a very stlish Pair of Art Deco designed Wall Lamps with Nickel and Fambé Shades. They were made in Germany and are wired and ready for use. Tey complete with matching Wall cup and would add a touch of Deco Style to any location. They are large so more suitable for a High Ceiling.